for my Friend at work. She got a new job and moved to Los Angeles. sitting on the chair from the Playtime cart. "Wide Eyed Kids Face Assortment"
She is pouting and sad that my friend was leaving. really cute stamp:) I LOVE it! Love that stamp!! LOL! Where did you get it?? What a darling card Julie! 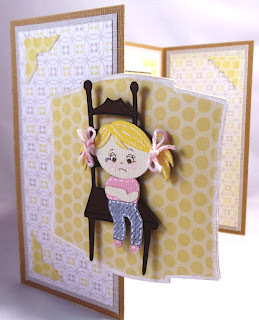 I love that hallmark stamp! that is the cutest card and I LOVE THAT STAMP!!! 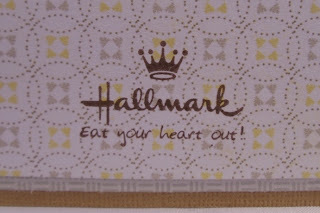 Adorable card...love that "Hallmark" stamp...too funny! ADORABLE!!!!! and love the stamp!! OK, were did you get? I want one! pay you double! 1. I love your card, it's completely precious. 2. 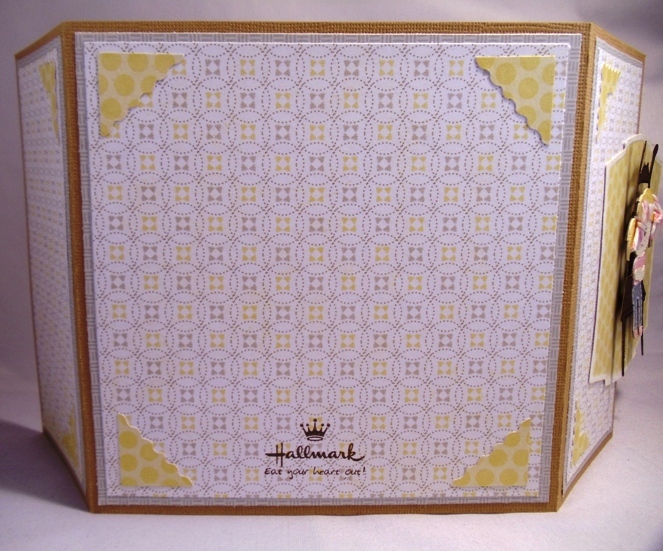 That Hallmark stamp is just fabulous! 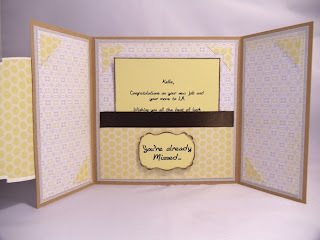 Cute card... thanks for sharing! I love that card!! The little girl is so cute. Where did you find that stamp it is perfect. Where did you get that Hallmark stamp? I'd love to have one! What a cute card, and the hallmark stamp how funny. 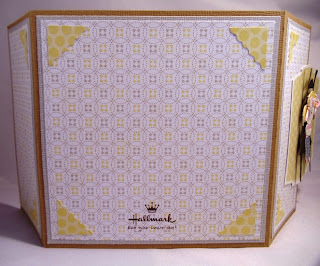 Julie that is so cute I just love it you rock girl I saw Emma's too that was really cute as well I love how you did the inside of this card very nice my friend, and now are you gonna share where you got that awesome Hallmark stamp?? This is ADORABLE!!! I LOVE the hallmark stamp!! 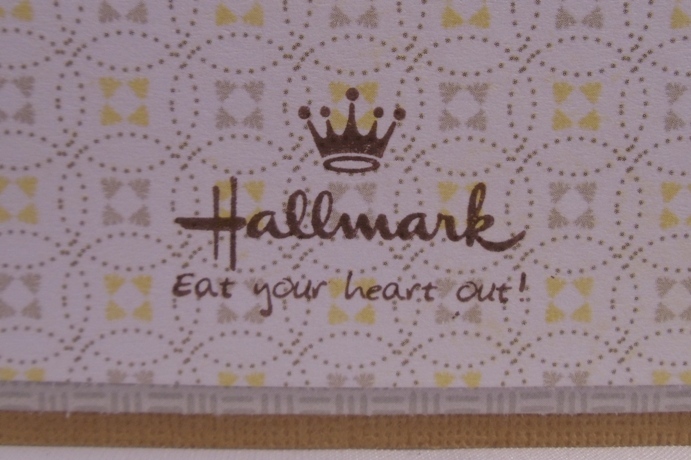 awesome card..... lol for the stamp re: hallmark... Seriously..